White belt is the beginning of one’s taekwondo journey, symbolized as a blank page, or purity. This article is for a current white belt student who is studying to become a senior white belt. 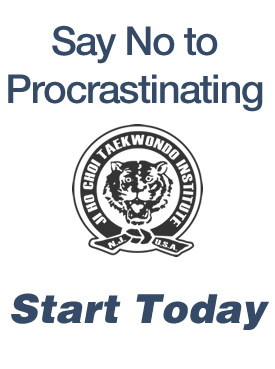 Remember that every beginner feels that it is impossible to learn all these new taekwondo moves and phrases. Break down what you need to do in small chunks and practice everyday and you will succeed!